Liverpool forward Philippe Coutinho is set to miss the EFL Cup quarterfinal clash with Leeds United due to ankle injury. Liverpool have quite a challenge on their hands as Daniel Sturridge is sidelined with calf injury and Coach Jurgen Klopp most likely will not risk Roberto Firmino. Simon Mignolet will be in action instead of Loris Karius going into the game as Liverpool reveal game plans. Klopp’s counterpart Garry Monk has not revealed his plan for the game. Monk used to make changes in previous rounds but might name his strongest squad for a chance at a cup semi final. “It’s a historic fixture in English football and we have to respect that. We’re under no illusions. It’s a very difficult game for us. It’s a great challenge, that’s how we have to look at it Our young players have a bit of freedom to go there. We’re under no pressure. The odds are against us, but we have good belief in ourselves,” Monk said. His comments reveal Firmino might not start the game, even as he tried not to reveal his cards. He said, “We don’t want to rest somebody who doesn’t need a rest. It is possible we will make a few changes. It is possible we will play nearly the same team. 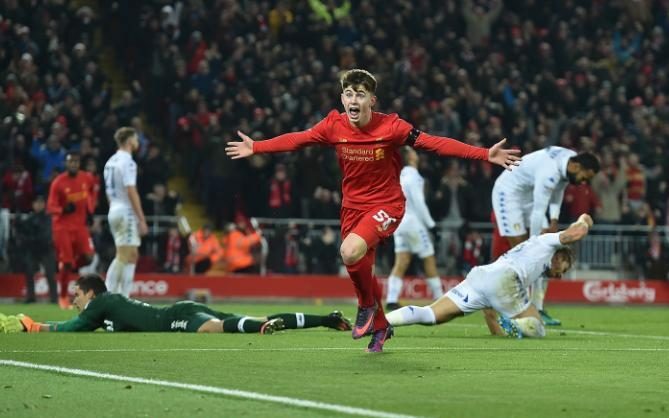 Liverpool would play Leeds on Tuesday for the fourth time, having won two in the past and playing a draw. Leeds have been losing against most Premier League side and would face a tough challenge against the Reds which might force Monk to play a strong side. Klopp would be gunning for his second semi final in the League Cup in two years.